When you receive your order you will need to sign for it. Check you have the correct number of boxes. (Not all the items are in a box.) Check you have everything you sign for. Give the driver any returns you may have. Make sure he signs your copy of the returns note. Find the box marked “Invoice enclosed”, and open this box first. Take out the paperwork before you start to unpack the products. As you unpack each item, find it on the invoice and tick off. You may find it easier to group products together, e.g. Senses, Naturals, Avon Colour etc.If anything is damaged or missing from your order you will need to request a replacement from Avon. Collect all your customer order slips. For each customer, find the products that were ordered and place them in an Avon bag. Include any samples you have so your customer can try them. Put the next brochure, with a customer order slip in the bag as well. Fold the bag and attach one copy of the customer order slip to the bag or place it inside. You may find it easier to place all your bagged orders in an empty delivery box or bag for you to take out. You are now ready to deliver your customer orders. Remember to wear an Avon fragrance and jewellery so you can promote them to any customers you see and to take any new product you want to demonstrate. Never leave an order without receiving payment! You are responsible for payment of products sent to you. if you can not get money off a customer or they change their mind for whatever reason all items can be returned back to Avon within 28 days and your account will be credited. If you do have items to return its a good idea to try and resell them so you don’t lose the commission. Deliver your orders on the date you stated on the customer order slip – your customers will be expecting you. Take some change with you when you go to deliver and a separate purse to keep your Avon money. If customers are not home when you deliver leave them a calling card to let them know you have been, ask them to call you and let you know when they will be home. Carry a few products with you and let customers try them. Take you calling book with you and make a note of who has paid and how much. Keep your Avon money in a separate purse so it doesn’t get mixed up. Avon do not accept customer cheques. 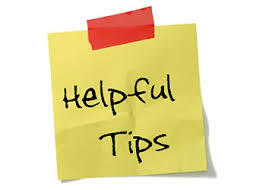 if a customer wishes to pay by cheque they must be payable to you, the easiest way is to only take cash payments. Pay the money to Avon by the date on your invoice. 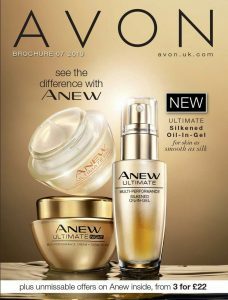 There are 2 ways to pay Avon either online with your bank card or at the post office with cash. Your invoice will show you how much money you need to collect, how much to pay Avon and how much you have earned. Remember on your first two orders you need to pay the admin fee, but this will be shown on your invoice and deducted from your discount. If you have any items to returns, deduct off your cost (this is brochure price less discount),from the amount you need to pay. You can make payments as you collect the money and reuse the same giro slip, but remember the post office charge 57p for every payment you make. It can take a couple of days for payment to reach Avon when paying at the post office. It is free to pay online and the money reaches Avon much quicker. If you ever get in a muddle with payments, contact Avon straight away and they can help you. Once you have paid Avon the money left is your earnings. Your account must be paid before you can place your next order. Extra charges apply if payment is late. The Giro slip will be found with your invoice. You will need it to make payment at the post office. How to find Avon customers on your territory. How to find new customers. How to sell Avon products. How to increase your Avon sales. How to sell Avon at Christmas. How to host an Avon party. How to start one-stop selling with Avon. How to sell Avon door to door. 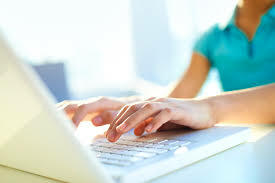 How to host an Avon online party. How to sell Avon hints and tips. How to place your Avon order. Benefits of being an Avon rep. Receiving your first Avon order. Avon representatives guide to returns and exchanges. 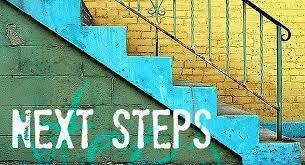 Taking the next steps with your Avon business.